August 29, 2018, 6:30 p.m.
After 12 seasons, CBS’s popular comedy series, The Big Bang Theory, will air its final episode in May 2019. Fans, no doubt, will miss the award-winning program. But, as new data indicates, so will another group: advertisers. 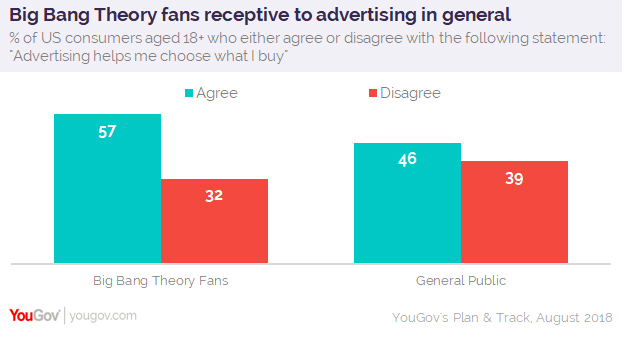 According to figures from YouGov’s Plan & Track, US consumers aged 18+ who hold a positive opinion of The Big Bang Theory appear more receptive to advertising than American adults at large. First of all, 52% of Big Bang Theory fans report preferring to watch TV shows live, compared to 45% of the general public. This implies that Big Bang Theory fans have a good chance of encountering commercial breaks. 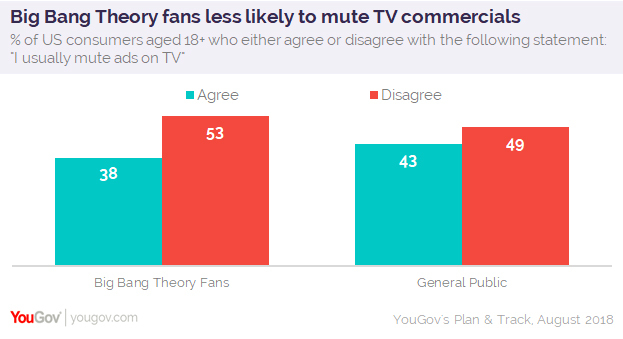 Second, Big Bang Theory fans are five percentage points less likely than the general public to say they usually mute advertisements while watching television. In total, 38% of them report muting ads, compared to 43% of all US consumers. 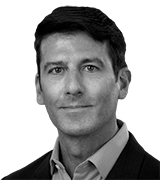 The final piece of the puzzle is this: 57% of fans of the long-running sitcom assert that advertising helps them choose what they buy, meaning the majority of them are willing to let commercials influence their purchase decisions. For the general public, only a minority (46%) agree. Additional numbers only further the case that adult viewers who have a positive opinion of The Big Bang Theory compose a prime audience for advertisers. Just over one-third (34%) of Big Bang Theory fans, for example, report that they search on the internet for products they see advertised while watching TV, compared to 31% of the general public. Meanwhile, 43% of Big Bang Theory fans enjoy watching ads starring their favorite celebrities. Only 30% of all US adults feel the same. If advertisers are looking to target fans of The Big Bang Theory after the series ends its run in May next year, YouGov’s Plan & Track suggests the following shows: Mom, American Dad!, The Goldbergs, and Criminal Minds. Data shows that people who like The Big Bang Theory are much more likely to have a positive opinion of these current programs than the general public. The Big Bang Theory’s final season begins on Monday, September 24.